Pay per click (PPC) campaigns allow you to advertise in the search engines, matching your ad to the searcher’s intent via keywords. PPC ads display at the top of the search engine results page and advertisers pay on a per click basis. Pay per click (PPC) campaigns provide immediate visibility in the search engines through paid advertising. PPC allows you to display ads that are matched to the searcher’s intent via keywords. PPC ads display at the top of the search engine results page and advertisers pay on a per click basis. A wide array of platforms and ad networks allow you to reach your audience throughout their decision making process with timely ads and thoughtful messaging. Instantly drive visitors to your website and generate new sales. Complete control over ad messaging, daily budget, cost per visit, geographic area and more. Ability to measure the ROI to the penny. Performance based management via Google Analytics tracking ensures that your budget is allocated to keywords and a demographic that convert. 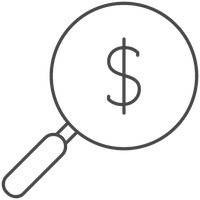 "The goal of our paid search campaigns is generating a positive Return on Ad Spend for our clients. We understand that paid traffic must prove its worth. We take a data-focused approach to create and maintain profitable campaigns that generate high quality traffic for your business." PPC is both an art and a science. The ad management platforms have complex settings and a successful campaign requires ongoing management to maximize return on ad spend via the cycle of measure, analyze, and optimize. Working with webShine ensures your PPC campaign is competitive in your keyword space and reduces wasted spend. The webShine team includes Google AdWords certified experts including the author of “The Definitive Guide to Google AdWords”, Lori Calcott. Our carefully crafted campaigns are results oriented, flawlessly (thoughtfully) executed and include clear communications throughout the process. Google AdWords – The largest PPC advertising network includes search ads, display advertising, remarketing, mobile, shopping, and much more. Bing Ads – Managing ads in Bing and Yahoo, Bing Ads often offer a lower cost per click and can be a less competitive marketplace. Facebook Ads – Broaden your social reach via Facebook advertising. Learn more about paid social. LinkedIn, Twitter, Pinterest, Amazon & More – webShine manages pay per click campaigns on a wide variety of platforms and will help define the best strategy for your business across various ad networks.